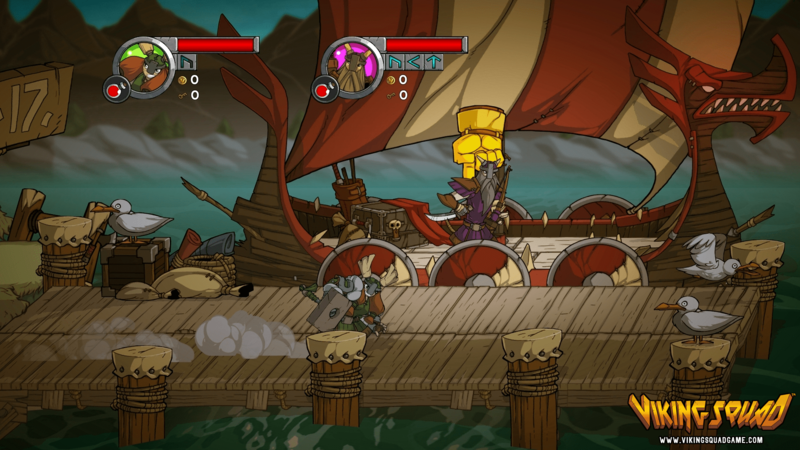 One of the indie games I was quite excited to get another chance with is Viking Squad. You might remember that name, as I got a chance to try it last year at the Seattle Indies Expo (SIX), and was pleasantly surprised by the game. All those facets which I enjoyed are still there, but with more polish and nuance. Let’s see what’s new. While my earlier impressions of Viking Squad were mostly consigned to a few minutes of battle, now there are some great new features. Firstly, you can upgrade your Viking, boosting one of his key stats, which might even unlock new combo attacks. You can also outfit him with the latest and greatest gear at the smithy. This is all done from a primary Hub village, which is yet another new feature. Once you’re kitted out, you head to your ship and are off to battle. The area I played in the demo was full of polar bear warriors, annoying bats, and even the occasional sneaky crab. Every enemy has a different way of attacking, so it is important to pay attention and time your shield. Alternately, you can go full Viking and just hack and slash at foes, but you’ll usually get hurt if you don’t block anything. Besides attacking and blocking, you also have access to magical attacks. My Viking had a freezing spell that would work on enemies in close range, setting them up to take the beating of their lives. It unfortunately didn’t work on my aerial adversaries, but a quick jump slash would take those out. Luckily, it’s not all battle this time around. 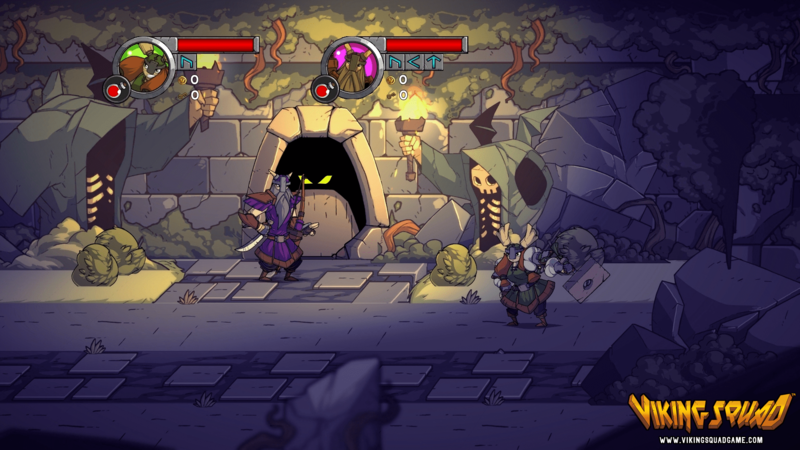 Though the combat is fun, it’s pretty basic, so the guys at Slick Entertainment mixed things up by adding relics. By successfully carting these to the end of the level, you will reap juicy rewards, which can in turn be used to purchase more upgrades. The catch is that while you’re carrying a relic, in my case a giant golden fish, you won’t be able to attack. 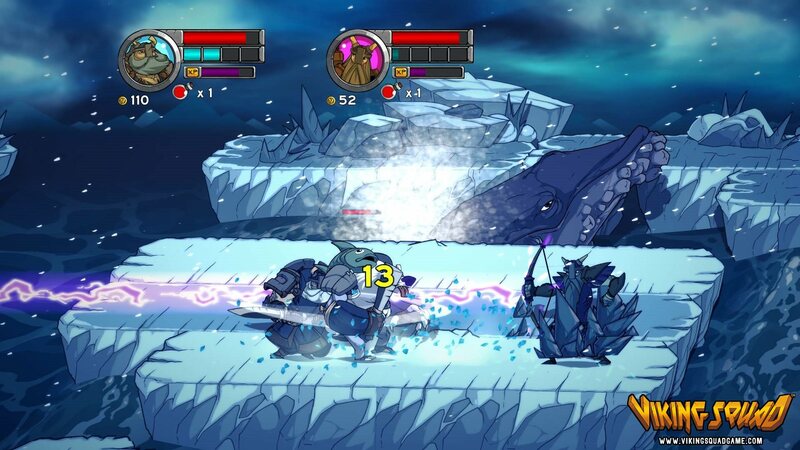 Luckily, Viking Squad has co op, so one person can play donkey and the other can bash and slash foes. This system works remarkably well, and this is the first game in a while that made me yearn for the old days of couch co op goodness. Oh, and it’s not a strictly linear experience, either. Each level has multiple paths that are unlocked via key items, so you can come back to an old level and find a new branch to explore, similar to Dragon’s Crown. This really helps the replay value of an already fun game. Best of all are the massive boss fights. Like the days of arcade cabinets, these bosses are huge, brutal and cruel, so it pays to bring along a friend. The first boss I fought was a sort of turtle squid with a parrot beak. He had shockwave attacks that were unblockable, as well as flailing with his limbs and summoning crabs. It took a lot of effort, but me and my ally, played by one of the devs, managed to put him down. 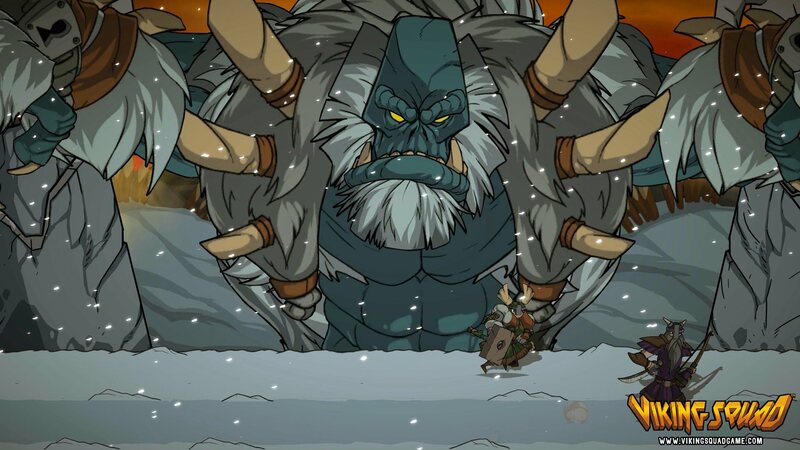 The second boss fight I encountered, against a truly giant yeti that took up the whole screen, did not go so well. But I’m confident I could take him with a little practice. For those interested, Viking Squad is slated to release on PS4 and Steam. I myself am highly anticipating the full version. To see more, check out the official trailer below. Next Post:“FLCL” May Receive A Remake from Production I.G.